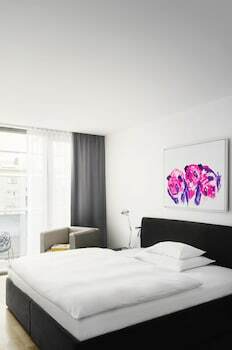 Located in Graz (Graz City Centre), Augarten Art Hotel is within a 15-minute walk of Styrian Armoury and Graz Town Hall. Featured amenities include complimentary wired Internet access, a 24-hour business center, and complimentary newspapers in the lobby. Self parking (subject to charges) is available onsite. Located in Fuegen, Ferienhof Kampfl is in the mountains, a 4-minute drive from Erlebnistherme Zillertal and 5 minutes from Spieljoch Cable Car. With a stay at Pension Mittagskogel in Mandarfen, you'll be just steps from Rifflsee Ski Resort and Rifflsee Gondola. The front desk is staffed during limited hours.